The cord blood banking is a procedure where the cord blood is taken from the umbilical cords of the newborn babies. This procedure is mainly recommended by many medical practitioners since it proves to be very much vital in curing the child. If acquiring any disease at a later stage concerned with the immune system and the blood. These specimens can be used in the future only if they are preserved in a well equipped environment and then eradicating the possibilities of any microbial infections into the specimens. 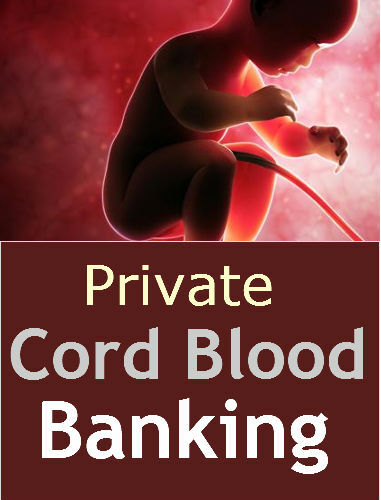 Such are the precautions to be ensured while planning to store the cord blood in the banks. In this article, we will have a look at the various aspects that are involved in Private Cord Blood Banking. The organizations which are run by private authorities and performing the roles of collecting the specimens of cord blood stem cells. They storing it in a well equipped observatory after allowing the specimens to undergo a series of tests. This resulting in best possible ways to use private cord blood banks. The continuous maintenance and preservation of the specimens and providing the same and Quality cord blood at the time of the requirement by the donor is called the private cord blood banking. Initially, if you are planning to donate the cord blood, then you will have to undergo an enquiry session. Otherwise, can catch up the concerned blood bank through email or phone and register yourself with the blood bank. The next step is that you will be given a kit, where there will be cryogenic bags in which the specimens will be collected at the time of the birth of the newborn baby. This can be done by the physicians or the nurses who are in the hospital. After that the collected specimen may be handed to the collection agents of these private banks. They will collect the samples and do a series of tests in their observatory. Where they will confirm that there is no presence of any microbiological organisms or any infections are present in the specimens. Then they are kept ready for preservation. After the series of tests conducted, the specimens are tightly covered in the cryogenic bags. These bags are placed in containers which is used to freeze the specimens. Then these specimens are freeze up to -196 Degree Celsius to ensure the freshness and moistness of the cord blood remains unchanged. These specimens can be stored for long time as long as the patient needs it. Some times when there is no need to use this specimen, they are usually discarded by these private cord blood banks. High level of costs are usually involved for the preservation and maintenance of the stem cells by the private cord blood banks. Private cord banks that ensure high rates of success and higher matching percent when compared to public banks. The costs start from the phase of collecting the specimen and until the completion of test and preparing the specimen to be kept under storage. The usual costs for these initial process are $1000 US Dollars for each and every phase. After that there are special charges being levied for the maintenance of these specimens. Each private banks may have a separate fee structure for preservation and maintenance and the cost for maintenance is usually around $100 US Dollars annually. Those are related with high costs, they still provide reliability among the people to make them the standard organizations irrespective of the costs. Most of the donors and their families usually have this doubt of how long will the specimen be available to get stored in the observatory. The answer is that there have been many proven results which shows that the specimens can be stored as long as it gets infected. After that, till date a cord blood specimen has been stored for the past 15 years and still the specimen is not infected or the freshness has not yet faded way. Hence, most of the families stick to stay with the private cord blood banks when compared to that of the public blood banks. Even though cord blood preservation is more precious to be used at a later stage they should be always used carrying some precautions. Some families may have some hereditary diseases which has been following them for many decades, in which such families should avoid the usage of the cord blood as it may also infect the cord blood at any stage. Several researches are under investigation to study the possibilities of these stem cells to be used for various other purposes like therapies rather than using it only for the infections or the diseases acquired by the patient. The families which have already stored the cord blood are of more accessible to the cord bloods for any diseases at the right time. But before making up your mind to store your cord blood in a particular private blood bank, make sure that you check the things. The things are authenticity, their quality of service, costs involved and several other important factors which might help you in the future.